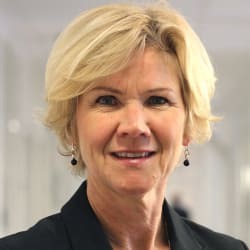 Karin Lunning was appointed acting director general of the Swedish Competition Authority in February 2017. She has been practising competition law for over 20 years. She has been a department director at the Authority since 2011, heading up the international department and latterly the department for communications and international affairs. Before joining the SCA she was an assisting judge at the Court of Appeal in Stockholm. Karin lived for a number of years in Asia, where she worked on various international competition assignments including organising OECD capacity-building events.